Best Free Pet Woocommerce WordPress Theme builds with Genesis Framework, shopping cart supported by WooCommerce 3.x, Responsive Layout, Easy to Customize! Pet WordPress theme is an ideal choice to showcase your pet’s products and services with greatly wonderful images of healthy, cute pets and light-colored design. 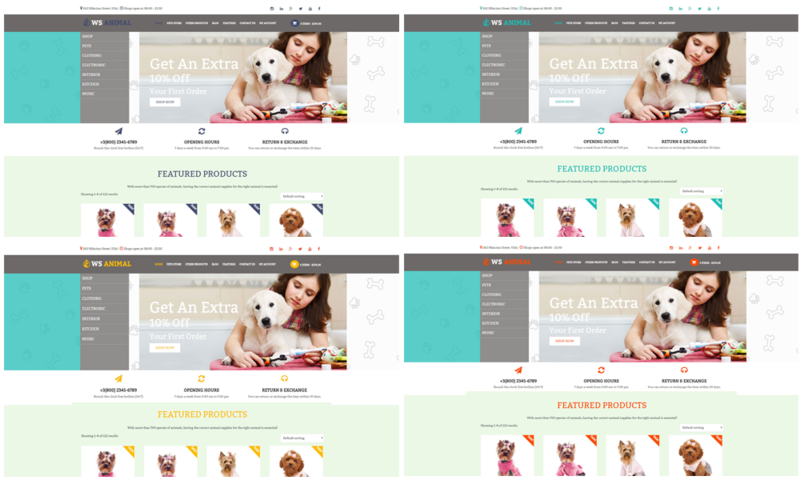 WS Animal is a free responsive shopping cart WordPress themes based on WooCommerce plugin that well designed for any kind of pet store/ animal hospital websites. Since this theme supports with Woocommerce plugin, now your store can not only advertise effectively your store, but also sell online pet and any relating service/ product easily. Your customers will have an outstanding overall view of product, from description, price, to its high quality pictures and each one of our layouts is equipped with gorgeous images. Besides commercial purpose, WS Animal also provides you spaces to post blogs which share general knowledge about animal to spread love for animal to everyone as well as raise people’s awareness of protecting animal. Especially, Contact Us page integrates with Google map, social networks are also supported. 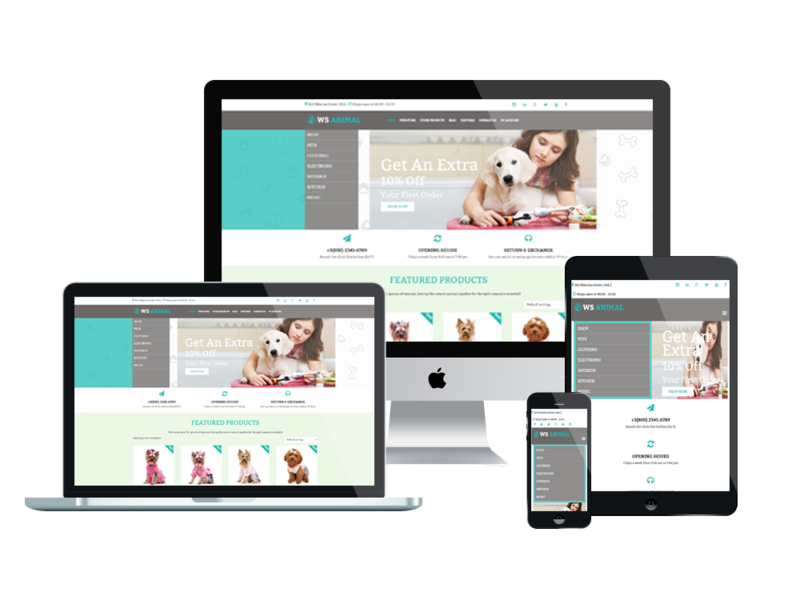 WS Animal presents perfectly on all kinds of mobile device with fully responsive layout, plus, page builder and drag-drop layout content supported from the template framework will help you edit content easily. Moreover, unlimited color and a color picker in the admin panel with lots of useful built-in features are always ready in this Free Pet WordPress theme to help you build an awesome online store. Come and get it now!